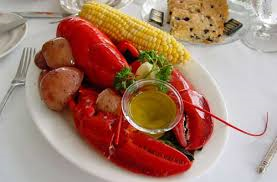 A few years back I posted a note promising a full lobster dinner to anyone in PTC management who was actually able to use the utility successfully using PTC's documentation of it - and lots of images of lobsters floated around. Lots of documentation but not very usable. I've created some - needs to be refined. Following the PTC Rehost documentation is a nightmare. I am still doing rehosts manually rather than bite the bullet and use the utility. BUT, I am resolved to do my next rehost using the utilty. I have the backups all done from the current servers, <loadpoint>/vaults, Vaults, Oracle and LDAP backups. Now it crack the Rehost guide and try again. If anyone has some quick cheat sheets to using the Rehost utility, they would be appreciated. About 3 years ago I promised to buy anyone in management at PTC a lobster dinner with all the trimmings if any of them could actually get the simplest possible re-host process to work using the PTC guide for it: OTB PDMLink and Oracle on a single server, with data consisting of one WTDocument, no clustering, no replication, no active directly, etc., etc., vault copied manually. He11, I will buy dessert. And still no documentation other than PTC's pathetic attempt at such.